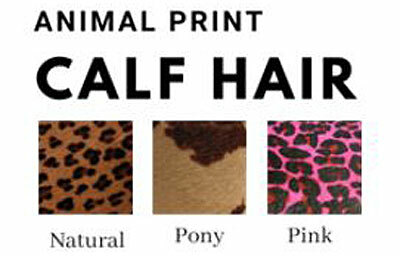 Show what a superstar your cat really is. Wearing the collar with a single row of handset nickel stars is a great statement piece on leopard calf hair. 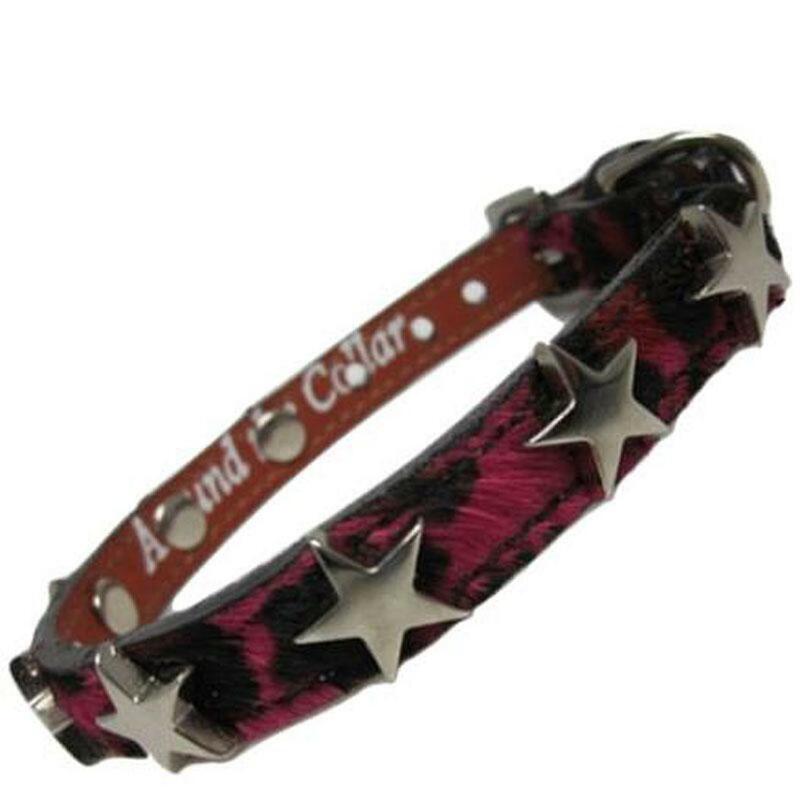 It is custom made and lined with vegetable tanned leather providing years of comfort to make this cat collar last. All cat collars have a nickel D-ring near the leather loop to hold an ID tag and elastic close to the buckle to provide extra give. Please measure the actual size of your cat's neck. If the actual measurement is between two sizes, order the larger size.